As one of the leading moving companies in Madison, WI, the team of long-distance movers at Capital City Transfer have ushered plenty of newcomers to the city. While a good number of our customers are moving from Madison to Milwaukee, we’ve also had the chance to relocate people from all over the country and the world. To help you make a smooth and easy transition to the exciting Milwaukee area, here are some tips from our experts for getting adjusted to your new surroundings and meeting like-minded people in your neighborhood. Weather can have an enormous impact on how well you adjust to a new city—especially if you’re moving to Milwaukee. During the cold, winter months, people tend to stay indoors more often, especially when temperatures are freezing. This could make things much more difficult if you’re hoping to meet more people in the area, simply because fewer people are leaving their homes to socialize. The ideal time to move would be at the beginning of the spring season when the temperatures are rising, and people are emerging from their homes more frequently. During the spring and summer months, it’s also peak season for moving, which could even help you meet fellow newcomers moving into the neighborhood at the same time. Whether you love it or not, social media is—well, social. Take advantage of the many opportunities for making friends in the area online through Facebook, MeetUp.com, Reddit, and even LinkedIn. If you’re single and looking for love, try Bumble, Tinder, or other dating apps to meet people in the area. If you’re more interested in finding new friends, try looking for groups that are interested in the same things that you’re interested in and sign-up for the next meeting. There are groups for virtually every interest in every category under the sun, from knitting to book clubs, long-distance running, and so many more. Take advantage of these easy opportunities to meet like-minded people in your area, and start signing up for those social media accounts! When planning a move, the location of your home is of the utmost importance. Where you live can mean the difference between loving your area and hating it, and committing to moving to a new neighborhood should be a decision made after considerable research that takes into account your needs, preferences, and budget. Make sure your new home is in an area that suits your interests. For example, if you think you’ll enjoy living in a bustling downtown area, Milwaukee’s young and trendy Bay View neighborhood might be exactly what you’re looking for in a neighborhood. If you want something family friendly, peaceful, and safe, on the other hand, the beautiful neighborhoods of Northpoint or West Allis are excellent options. Have Kids? Join the Club! If you have children, consider yourself a Golden Ticket holder for making new friends in a new city. Children can give us an automatic reason to get out and meet people, whether it’s through parent meetings at school, playgroups, after-school sports centers, or gatherings at local parks and playgrounds. Parents with the same-aged children are naturally drawn to each other, and the right ones can easily introduce you to their circle of friends, exciting events, and other opportunities for social integration. Fall in love with your new city by getting involved! 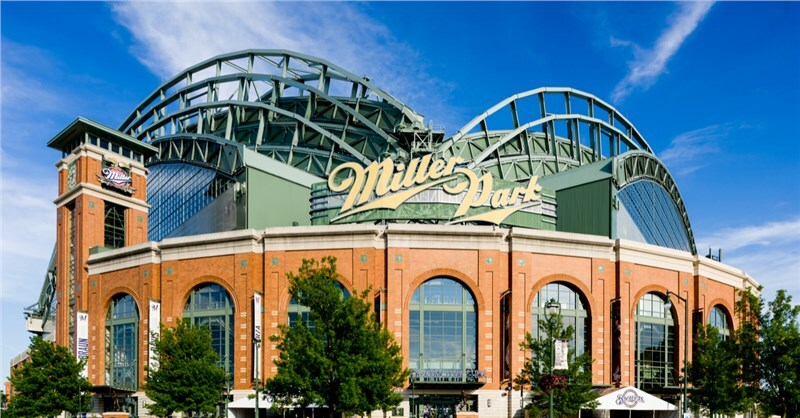 Milwaukee, for example, is known by its residents as the “City of Festivals” for the many events happening year-round, from music concerts and outdoor shows to cultural events and ethnic cuisine fairs. Visit your city’s website and find out what events are happening in your area, and attend as many as you can. This will give you a chance to meet people, have fun, and hopefully feel more excited about calling your new city “home”. If you’re like one of the many families or individuals planning to relocate to another city this year, the change of scenery can be difficult at first. The good news is that with some time and a little effort, falling in love with the lifestyle in a different place is far from impossible—especially if your new city is as amazing as Milwaukee. For those moving from Madison to Milwaukee, you can count on our friendly team of professional long-distance movers to help you make a smooth transition into your brand-new home with expert tips, affordable moving solutions, and more. If you’d like to hear about the services offered by Capital City Transfer, give us a call now. You can also request a free, in-home quote by filling out our online form.